A Connecticut town council passed a resolution Wednesday to change the name of a street from "Paul Manafort Drive," town council member Carlo Carlozzi, Jr. told CBS News in a text. The town's mayor, who Carlozzi said has "indicated that she will not be signing," has 10 days to veto or accept. A street named Paul Manafort Drive in New Britain, Connecticut, has been a point of contention for residents and local politicians for nearly a year. The city's Common Council voted Wednesday to change the name once and for all--and the resolution passed. But, there's a catch. 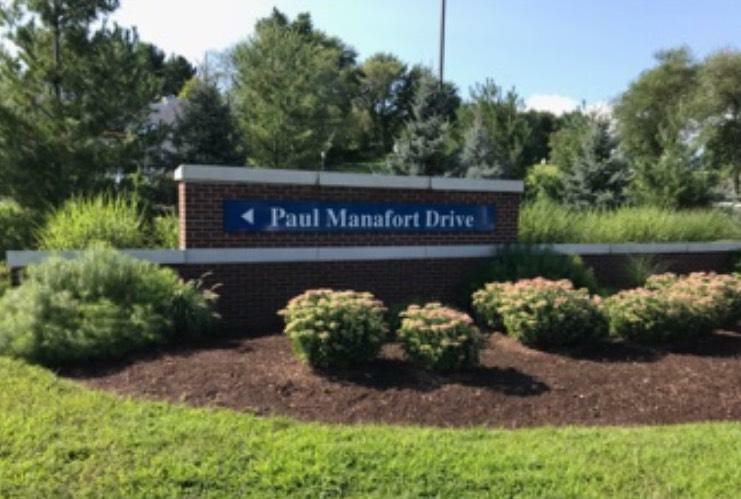 While many recognize Paul Manafort as President Trump's former campaign chairman who was found guilty of eight counts of financial crimes in August and is set for a second trial, the sign is actually named for his father, Paul Manafort Sr. The elder Manafort died in 2013, but was a three-term Republican mayor of New Britain. The sign first garnered attention in November, when Connecticut resident Dan Russell created an online petition to change the name to George Springer Drive. George Springer currently plays Major League Baseball for the Houston Astros and was born in New Britain. "If it's going to have a person's name, it should be a name New Britain can be proud of," Russell told CBS News. While nearly 1,700 people have signed the petition since 2017, the street name was not changed. On Aug. 15, after attention to the street name grew because of Paul Manafort's trial, Mayor Erin Stewart added a "Sr." to the street sign, she says, to clarify the intended honoree. "I have said in the past that I will not support changing the name of the street, however this small clarification should serve well," Stewart said in a written statement, reported the Hartford Courant last month. "The name of the street hasn't changed; we've clarified which Paul Manafort the street was named after and I think that's fair." Democrat Carlo Carlozzi, Jr., the Majority Leader on the city's Common Council, told CBS News that Stewart did not speak with the council prior to the addition. He adds that a decision like this has never been made without consulting the counsel. "When she did that, that's when we started hearing from people in the community," Carlozzi told CBS News. "Adding "Sr." to the sign does not do enough to remove the embarrassment ... adding 'Sr.' does not take away the scandal of the Paul Manafort name." Manafort Sr. also had a run-in with the law. He faced perjury charges in 1981 for his testimony as part of an investigation into police corruption in New Britain. Charges were later dismissed, The Atlantic reports. Soon after Stewart's "clarification," Carlozzi says the council's nine-person Democratic caucus began discussing a permanent solution to the controversial street name. Carlozzi, as well as six other members of the 15-person Common Council, have signed a resolution to rename the street completely and honor a distinguished alumni of Central Connecticut State University -- the school the street runs alongside. The resolution, obtained by CBS News, proposes to change the street name to Ebenezer D.C. Bassett Way. Bassett was "the first African American to attend and graduate from Connecticut Normal School, now Central Connecticut State University," the resolution reads. He was also "nominated by President Ulysses Grant to be the first African American to serve as an ambassador and diplomat." The resolution was be presented Wednesday at the Regular Meeting of the Common Council and passed, Carlozzi told CBS News in a text. Nine council members voted in favor of the change and six voted against it. Carlozzi said the resolution only needed eight votes from council members to pass. Now, Mayor Stewart has 10 days to veto or accept it. Carlozzi said Monday she "has indicated that she will not be signing it." "If she wants to hang her hat on the Paul Manafort name, God bless her. I want to do what's right for the community," Carlozzi told CBS News. If Stewart vetoes, the resolution will be brought up at the next meeting in October and will need 10 votes to override the veto. If it passes, the street name will be changed; if not, the resolution can't be brought up again until next year. Mayor Stewart has not responded to a request by CBS News for comment by press time.